This entry was posted in Abstracts Art, Animal Art, Art, canvas prints, canvas prints, Christmas, iPhone cases, laptop skins, Photography, shop, Shops - (Stores), Stores and tagged Abstracts, Art, Digital art, Fine art, landscape, Nature, photography, Valerie Anne Kelly, valzart, Visual Arts, white heron, wildlife, woodland by valzart. Bookmark the permalink. to keep for sale and if yes which is the best site for that. 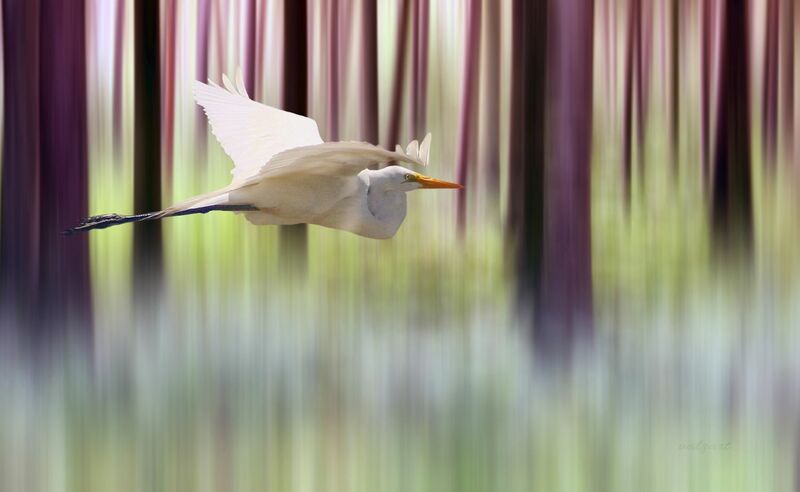 Very nice, conveying motion among the trees with focus upon the egret. Stunning effect.